Webmasters, despite being aware of the fact that Google gives special importance to HTTPS sites, haven’t yet migrated their web pages to HTTPS URLs on time. It was the second Thursday of the month of August that Google launched a new signal that ranks all HTTPS sites better than the HTTP ones. 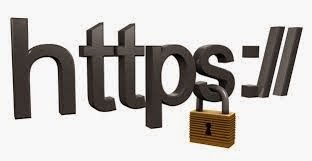 This step was taken to give a push to the webmasters and encourage them to migrate their web pages from HTTP to HTTPS. Some SEOs have had major concerns during migration and they’re unaware of the reason behind this major shift in URLs. What is the exact industry signal? Check out some recent information on how the HTTPS ranking signal works. Are you aware of the fact that the HTTPS ranking signal is way different from the Panda and Penguin algorithm update and that this signal runs real time? Yes it does. As soon as Google indexes all your new HTTPS URLs, you’ll see a small boost in the ranking only due to the shift of the URLs to HTTPS. Although that doesn’t mean that you’ll see your website rank shift from 5 to 4, but behind the scenes, this will certainly impact the overall ranking algorithm. What would you do if you had some parts of your website migrated to HTTPS and some parts not? Well, the answer is very simple. Google will give the slight boost to the HTTPS URLs, while not giving any boost to the others. Hence, it is clear that the ranking signal is on a per-URL basis and not on a site-wide basis. Google will always want you to migrate all your URLs to HTTPS but if you don’t want to do it together, technically you can try doing it on a URL by URL basis. Despite Google’s recommendations of using the change of address tool while moving a site from HTTP to HTTPS, the tools still doesn’t support. This is a change of address tool within the Google Webmaster tools but unfortunately it still doesn’t support HTTPS migrations yet. Although there is no fixed time about when you can use this tool, but according to John Mueller, a 301 redirect is enough a signal to indicate the change, even when you’re not using the change of address tool. For some unknown reason, there are webmasters who always felt that this new HTTPS ranking signal was part of the Panda algorithm update by Google. But this is not the case. The HTTPS ranking signal is a standalone and independent signal and doesn’t depend on any other algorithm update. Some others are reporting that since the launch of the HTTPS ranking signal, Google has sent out security certificate errors. But as per what John Mueller has to say, Google has nothing to do with the latest changes. Google actually blames the error on the misconfigured certificates. However, still the webmaster still say that with CDNs and shared hosting, this is getting out of control.